He hits as hard as wood! Mokujin — literally “wooden person” — is a fighter in the Tekken series of video games. He’s a training dummy built from a 2,000-year-old oak tree. When the God of Fighting awakens, Mokujin is brought to life and decides to get all up in that Tekken fighting tournament. Fighting is what he was built for, after all. Tekken is known for its wacky fighters. You can play as a kangaroo in some of the games! That’s just plain nifty. 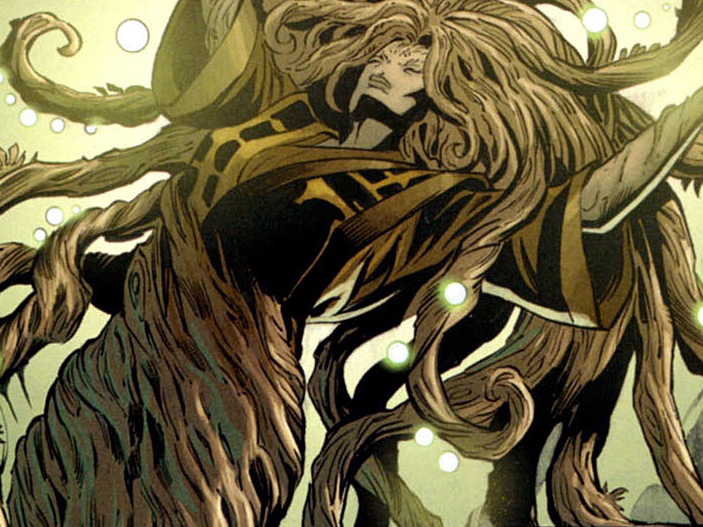 Be sure you’re sitting down for this one: the Floronic Man’s real name is Jason Woodrue. Nailed it! Woodrue was a refugee from a world populated by dryads, and he came to Earth to use his plant-based powers to take over. Superheroes stopped him, as they are wont to do. Woodrue eventually experimented on himself until he became a tree person with extensive control of all planet life. He came up against Swamp Thing a bunch of times, and had several run-ins with Poison Ivy, so he likes to stick to his own kind. 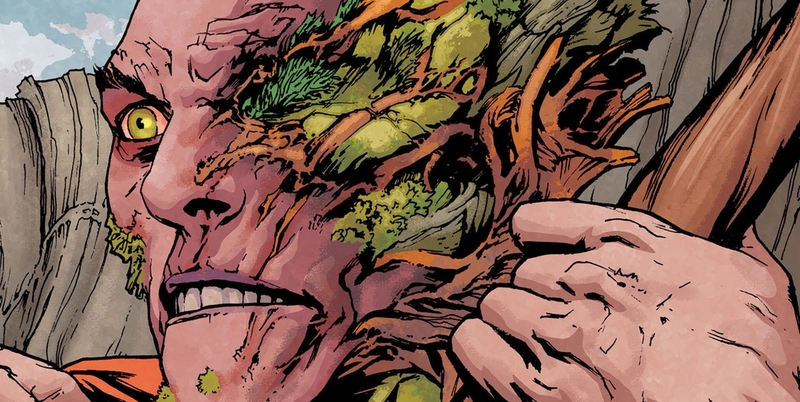 If you need a plant-based supervillain in your DC Comic, then Woodrue is your plant man. Black Tom Cassidy is an evil Irish mutant whose power is to blast people through wood. Why wood? Because Irish people have shillelaghs assigned to them at birth! Black Tom is the cousin of the X-Man Banshee. So one Irish mutant has the powers and name of an old Irish folk legend. The other Irish mutant has powers that work in conjunction with his shillelagh. Makes sense to me! 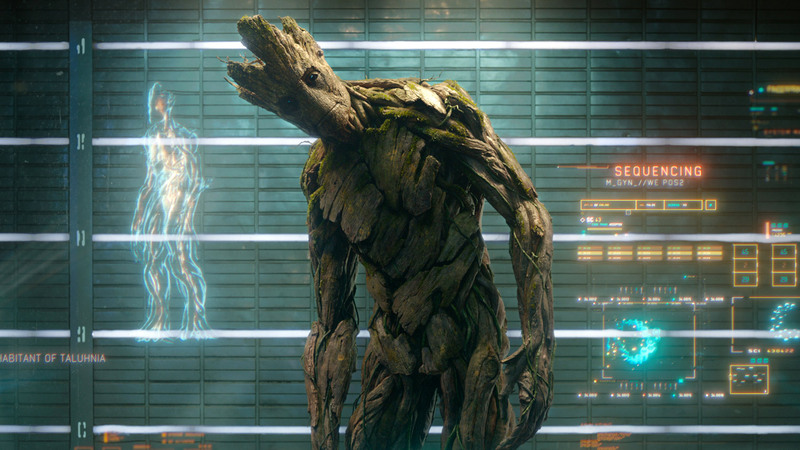 At one point in his villainy, Black Tom was grafted with mystical wood, which spread throughout his body until he was a full-on tree person with the ability to control other plant life. It was a short-lived time in his life, but worthy enough for this list! Jabe is a member of the Tree of Cheem people, descendants of the great rain forests of Earth. When the Doctor Who show relaunched in 2005, they really needed to up the weird, alien factor. So in just the second episode — which was about the destruction of planet Earth in the year 5,000,000,000 — we meet Jabe and her companions, members of the Forest of Cheem. They’re alien tree people! Jabe befriended (and totally flirted with) the 9th Doctor before eventually sacrificing her life so that he could escape the villain’s trap and save the day. She will be long remembered. Lots of aliens can become Jedi. It’s not just a human or Yoda thing. 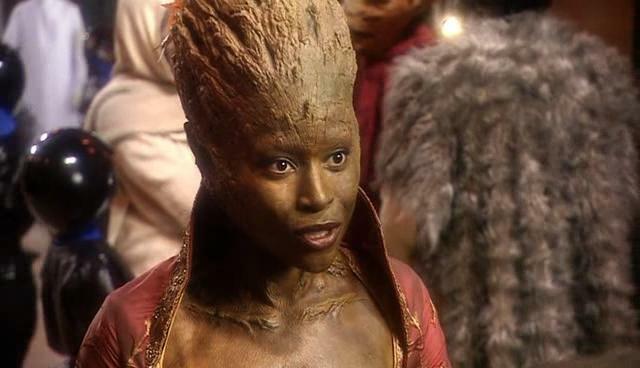 And in a galaxy as creative and infinite as the Star Wars Universe, of course there exists a race of tree people. They’re call the Neti and they come from the planet Ryyk. They survive on photosynthesis, just as you’d expect. There are actually a couple of Neti Jedi and Sith, but I like T’ra Saa the best, because her history is about as insane as the Star Wars Expanded Universe can get. Due to being trees, the Neti have long lives. T’ra Saa not only fought as a general in the Clone Wars, but she survived Order 66, fell in love with a human Jedi, survived the Galactic Empire, joined Luke Skywalker’s New Jedi Order and eventually survived all the way to the Star Wars Legacy era to fight alongside Cade Skywalker. T’ra Saa saw it all, because that’s how the Expanded Universe rolls. Look! It’s somebody you might actually know! Treebeard is, of course, an Ent from the Lord of the Rings books. As we all know, the Ents were created by the Vala Yavanna and given sentience by Eru Ilúvatar. There used to be a lot of Ents, but all the Entwives were chased out during the Second Age by Sauron. Eventually, despite having traveled the forests of all Middle Earth, Treebeard and the remaining Ents settled in Fangorn Forest, on the border of Isengard. He seemed content to just be an old tree, but when the hobbits Merry and Pippen informed Treebeard of the destruction Saruman was causing, he decided to get all up in Saruman’s grill about it. Was there any cooler moment in the Lord of the Rings movies than the March of the Ents? Yeah, maybe. Those movies had a lot of cool moments. 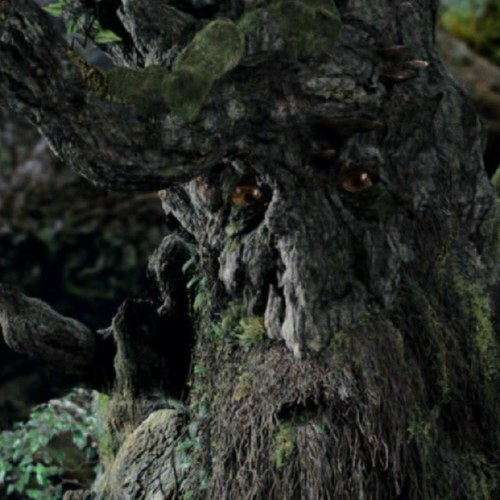 But Treebeard and company were pretty damn awesome. Posted on June 28, 2017, in Comics, Lists of Six!, Miscellaneous, Star Wars, Television, Video Games and tagged Doctor Who, Jedi, Lord of the Rings, Tekken. Bookmark the permalink. 2 Comments. I was surprised to see Black Tom on the list, as I wasn’t aware of the period of time that he spent made entirely of wood- it’s good history to know. I’m honestly surprised that there aren’t more characters that fall into this category in the sci-fi, fantasy world, as trees naturally lend themselves to humanoid characters, suggest cool powers, and have chlorophyll!! Good list, and nice write-ups on each of the members. Thanks! And you’re right, it’s a pretty spare list for a pretty nifty concept. Trees are everywhere!